This year, as we celebrate the 100th anniversary of the Migratory Bird Treaty Act (MBTA), our most important bird protection law is under attack. Legislation in Congress (HR 4239) would end the ability to hold industries accountable for bird deaths. These proposals would prevent enforcement of "incidental" bird deaths, removing incentives for companies to adopt practices that protect birds from threats such as oil waste pits, and eliminating penalties for companies that kill substantial numbers of birds, including from large oil spills. 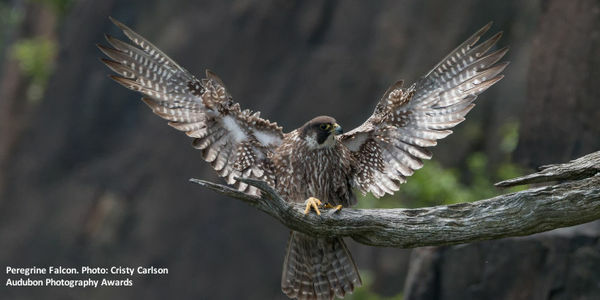 Urge your members of Congress to uphold the Migratory Bird Treaty Act. I strongly urge you to defend the Migratory Bird Treaty Act, including its ability to address the incidental take of birds under the law. This year, our country celebrates the 100th anniversary of the Migratory Bird Treaty Act. Passed in 1918, the Migratory Bird Treaty Act (MBTA) is credited with saving numerous species of birds from extinction, but its ability to protect birds from serious threats is at risk from legislative proposals and administrative actions. The Migratory Bird Treaty Act remains necessary in protecting our nation's native birds. Birds now face modern-day threats, and the MBTA provides the incentive to adopt common-sense practices that save bird's lives, such as covering oil waste pits, and the ability to provide accountability and recovery after events that kill substantial numbers of birds. After the Gulf oil spill killed one million birds, BP paid $100 million to restore habitat because of the MBTA. Reducing industrial impacts to birds depends on MBTA authority to prohibit "incidental take," but proposals in Congress such as HR 4239 and a new interpretation by the Department of the Interior would end decades of practice by administrations of both parties to hold egregious actors responsible for preventable bird deaths. I urge you to uphold this vital safeguard, and defend against any and all attacks on the Migratory Bird Treaty Act.